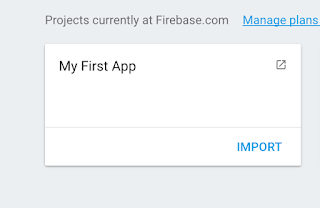 Very quick post on a problem I've seen a few people hit where they are upgrading a Firebase.com project which uses Google Sign In on Android. 3. Go to the old Google Developers/Google Cloud project you were using and copy each client ID used for an Android app (e.g. the debug and release versions at least). 4. In the Auth > Sign In Method > Google panel, enter the client IDs you copied before.